The NMS Office is open from 7:30am-3:30pm, Monday through Friday - following the approved school calendar. OPS (Optimum Performance Sports) along with FWO (Fort Wayne Orthopedics) are pleased to provide our athletes with free physicals Saturday, April 27, 2019. Physicals will take place at Fort Wayne Orthopedics, 7601 W Jefferson Blvd, Fort Wayne, IN 46804. We encourage our athletes to show up for physicals at their schools assigned time. Norwell's time slot is 8:00am. If you happen to have an event that interferes please feel free to come earlier so that we can accommodate your schedule. Physicals will end at 11:00am or once the last athlete in line has been seen. Please bring completed physical forms with you so that we can keep everything as efficient as possible. 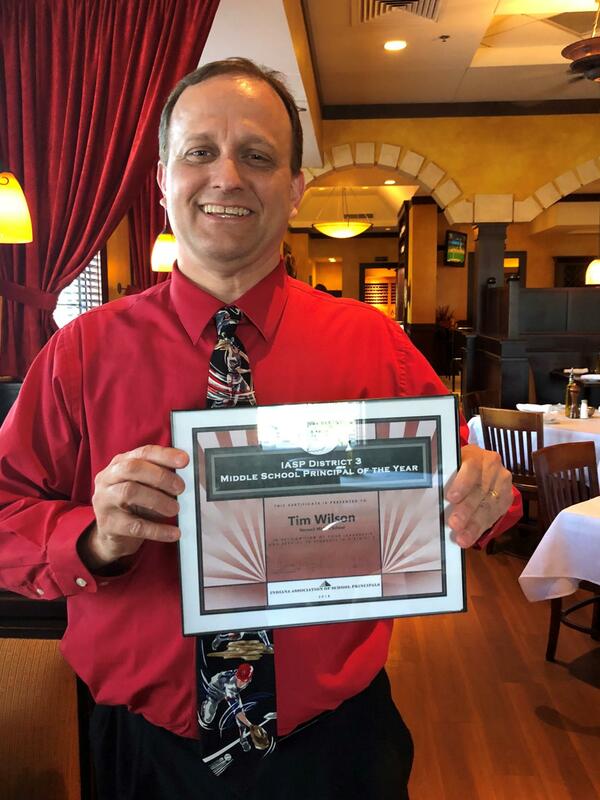 Tim Wilson Named IASP D3 Middle School Principal of the Year! Congratulations to Norwell Middle School Principal, Tim Wilson, who has been named the Indiana Association of School Principals District 3 Middle School Principal of the Year! He will represent District 3 for the State Principal of the Year honor in November. Congratulations to Norwell Middle School 6th grade teacher, Lisa Weybright, the Wells County Teacher of the Year! Watch as she accepts her award, and enjoy her amazing, touching, funny and heartfelt acceptance speech here.